Although I live very close to the ocean, in an area where earthquakes and tsunamis are commonplace, last night was the first time I had a tsunami dream. In my dream, I was walking down the corridor of a very tall office building that had lots of glass windows and doors, beautiful open patios and a landscaped rooftop. A woman approached me and started talking, complaining about something; I don’t remember what. As I stopped to listen to her, I received a text message on my phone that read: TSUNAMI. I didn’t know what the message meant, or who’d sent it, so I ignored it for the moment, continuing down the corridor. I thought about the text message I’d received, realizing that whomever had sent it, it was clear that a tsunami was imminent. As I reached the office at the end of the corridor, I felt alert, but not frantic, because, although it was possible that a tsunami was coming, I knew that I was going to be all right. I opened the office door slowly and cautiously entered, glancing out of the window directly ahead of me. There it was, a tidal wave, heading straight for us. I quickly alerted my friend and everyone else in the office, telling them to follow me. We headed for a stairwell that led to the roof. I knew that if we could somehow reach the roof, we would be safe when the tsunami hit. We all crammed into the stairwell, some very panicked, some pushing, some shoving, but I was fearless because I knew I would be okay. The tsunami hit while we were still in the stairwell, the water gushing in so forcefully that it carried us up to the rooftop. I yelled to everyone to grab hold of the railing surrounding the roof and, as most of us grabbed the railing and held on, the water came crashing forward. While many were able to hold on through the onslaught without being swept away, some were not so fortunate. I managed to hold on, and as the water began to recede in my dream, I began to peacefully awaken. It didn’t take me long to figure out why I had this dream. Several years ago, I was the victim of a very violent relationship, one that would change the course of my life, and adversely affect the lives of my family. Long after I’d escaped from the relationship, I was still behaving like a victim. And although I spent time advocating for victims of domestic violence, I spent more time complaining about injustice than I was doing something about it. I knew that I wanted to make a change, but I feared no one would hear me and that I was just one voice. For as long as I could remember, this was my truth, until a few weeks ago when I began volunteering for a non-profit organization called Emerging Leaders Academy. During the season for non-violence, I witnessed Sgt. Clyde Terry, a 20-year veteran with the Los Angeles County Sheriff’s Department, receive a local hero’s award from the Agape International Spiritual Center in Los Angeles, California. Sgt. Terry received this award for taking a stand against violence throughout the Los Angeles inner city community. I watched Sgt. Terry walk up onto the stage to receive his award. I listened intently as he spoke about the differences this organization was making. According to Sgt. Terry, the Emerging Leaders Academy’s mission was to provide educational opportunities and programs for gang members, “at risk” persons, new contributors (ex-offenders) and community members. The goal was to elevate each person so that they were no longer a victim of statistics, but instead used their story as a platform to empower and enable themselves and others around them. 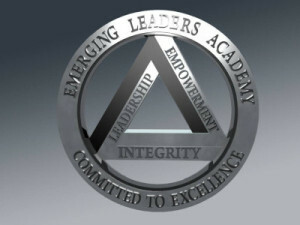 After learning about the Emerging Leaders Academy, I knew that I had to become involved. Moments later, I walked right up to Sgt. Terry, introduced myself, and signed up to become a volunteer. For me, this tsunami dream represents a brand new start. During these past four weeks, as I strip away many of the crippling blocks in my life, including fear, worry and doubt, I feel myself becoming someone who no longer holds onto a story of being a victim. I’m writing a brand new story, free of fear, armed with the knowledge that everything is and will continue to be alright. I truly am an emerging leader.